Fresh Spring Roll has become a favorite of mine quite recently. 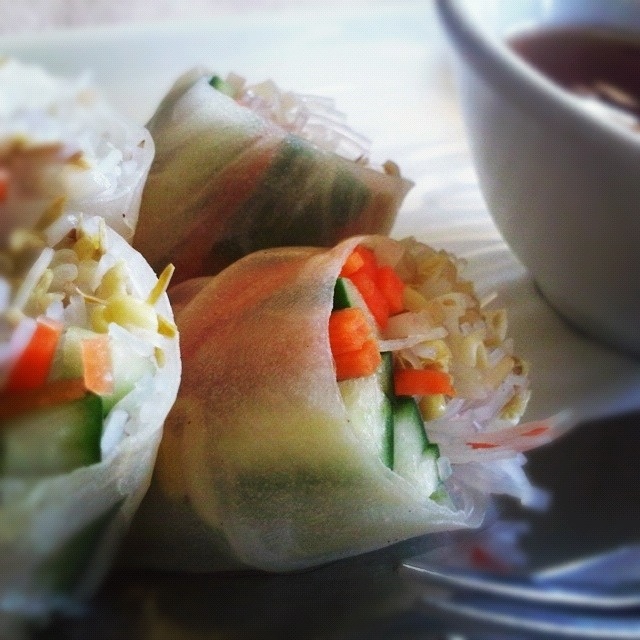 I love the combination of carrots, cucumber, bean sprouts and vermicelli noodles… all wrapped in sticky rice paper and dipped in peanut sauce or chili mint dressing. It’s the perfect snack for me any time of the day! I was able to try the fresh spring roll served at the EDSA Shangri-La Lobby Lounge. Sad to say, their version of this dish is just… blah. The rice papers were soggy and could hardly hold the filling together. The bean sprouts were bitter and left a strong taste in my mouth. I’d usually consume everything… but on this particular instance, I was only able to finish 4 out of the 10 pieces on the serving platter.